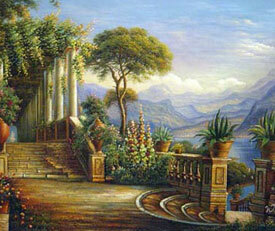 Buying an oil painting from Artisoo is like stepping back in time! 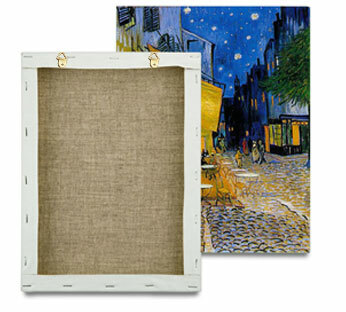 Every oil painting we sell is painted by our master artists in the same time-honored traditions utilized by the world's most renowned artists, emphasizing the importance of aesthetics, technique and style. Many of our artists have years of training at some of the finest art academies, specializing in the medium of oil on canvas. 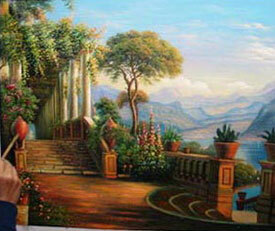 Please read below how our artists, step by step, paint the oil paintings that are displayed on our website. You will learn that at Artisoo gallery , each and every oil painting is meticulously painted, brushstroke by brushstroke, starting with a blank artist canvas and ending with a true masterpiece! The studio at Artisoo features more than 15,00 square feet of open space where our artists work together to create and recreate masterpieces. This allows us to maintain our high quality control standards. Also, since our customer service group and shipping department are located on the same floor, this guarantees open communication between you and your artist. 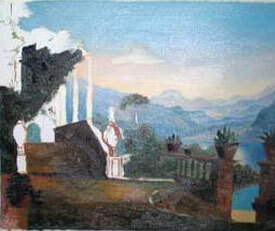 The painting process involves many intricate steps our artists must complete in order to paint each oil painting. 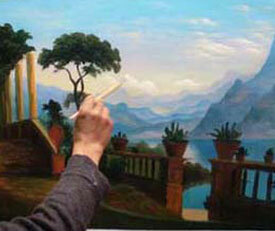 Our stringent quality control and high standards of excellence ensures that our artists strictly adhere to our philosophy that every oil painting must be painted with the utmost attention to detail, aesthetics, technique and style. 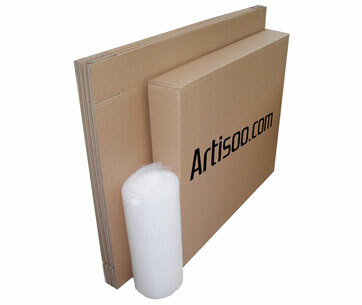 At Artisoo gallery, we want you to buy with confidence, knowing that you have purchased the finest quality oil paintings. Our master artists use a wide array of brushes to accomplish their goal of painting the perfect masterpiece for our customers. We insist that our artists use only the highest quality artist brushes, which are always finely balanced for maximum stroke control. 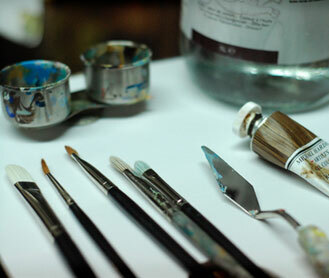 Professional artist brushes are made from a variety of fibers to create different effects. In addition, brush heads are available in almost a limitless selection of sizes and shapes, each ensuring our artists will achieve their desired results. 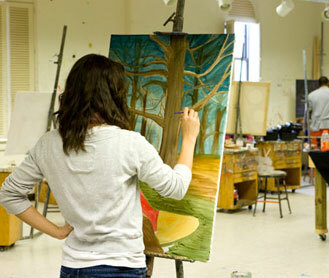 All of the oil paints our artists utilize come together on the artist palette. The artist palette is commonly constructed of very thin wood, designed to be held in the artist's hand while resting on the arm of the artist. In addition to the wood palette, our artists may also use a flat tray that is conveniently located just below the canvas that is being painted. This tray serves a dual purpose as the palette for the oil paints and also a convenient surface to have all the artist brushes close at hand. The artist palette is the surface where all the oil paints are mixed together to achieve the desired colors needed by the artist to complete each masterpiece. 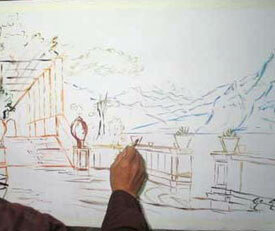 Here our artist is using a fairly wide artist brush to apply the first coat of paint to the canvas. The first layer of oil paint or "undercoat" is painted to cover the white gesso of the canvas, while also acting to "tone" the canvas. 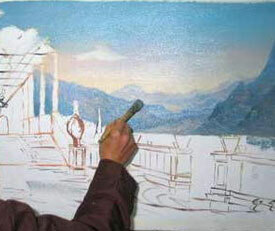 In this step of the painting process, our artist will generally concentrate on the initial application of color, focusing on the most distant background, and then working slowly towards the foreground elements, all the time following the outline sketched on the canvas. 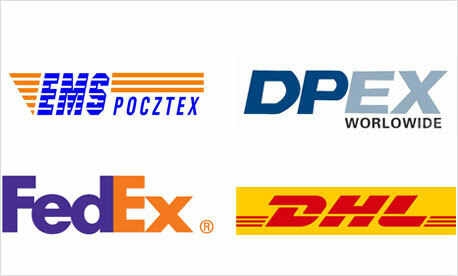 We only use courier companies such as EMS, FedEx and DHL for all deliveries as they are the safest and fastest shipping method. 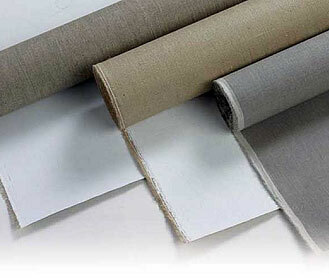 All shipments are insured and are hand delivered to the shipping address you provide. Once your order has been dispatched, we'll email you a tracking number so you can track your order. Shipping usually takes 7days or less.